Running a small business is like attending a career fair. You know your pitch inside and out, and you’re confident you have something unique to offer. But your audience doesn’t know that, and convincing them you’re not like the hundreds of doppelgängers around you is the real challenge. It’s the art of entrepreneurship: attracting customers when they have countless other options. Fortunately, faith in your idea goes a long way. Sure, the market is saturated with corporate juggernauts and spunky startups, but none of them offers the same shoes, food, or haircuts you do. With that in mind, along with a reasonable palette of strategies, it’s almost like you’re not competing at all. Because of the competition in every industry, it’s easy to start targeting your audience immediately. After all, the goal is to reach consumers and beat the competition, right? Those two variables, though, are only part of the equation. Instead, developing an effective value proposition should be the first item on your list. Like all companies, your small business needs a story. You not only have to articulate what you do, but you have to convey why you work 80 hours a week, sometimes without making a profit. That’s when searching for your niche becomes essential. Ideally, you’ll have captured the right people’s attention with your mission statement, and the rest of the “grunt work” almost completes itself. A strong online presence is perhaps the best way for small businesses to acquire and maintain customers. An effective website answers all the questions that separate you from everyone else. It tells customers what you stand for, who your audience is, and how you communicate to them. Your sales team, consequently, should be well-versed in your site’s current content and be able to recite these answers in their sleep. Likewise, ensure your calls to action and company biographies are consistent with your brand’s values rather than generic copy about your products. While a widespread online presence is informative to your base, it’s only one step to generating prospects. 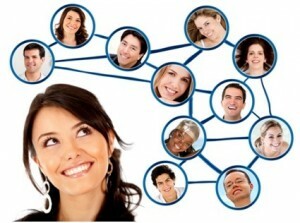 Your sales team can scout for more potential customers through social media sites like Twitter and LinkedIn. Social listening, for instance, lets salespeople virtually zero in on leads by identifying phrases relevant to your company. You might find that most of your company’s buzz comes from a small village in Florida. Maybe your possible followers all hang out at a specific coffee shop and listen to indie music. Whatever the case, your sales staff will impress customers with detailed responses after these fact-finding missions. Not to mention that salespeople aren’t limited to traditional sales calls: Now that they know your audience better, they can help potential customers in unique, thoughtful ways. 3. Constantly Strengthen Virtual Relationships. Just as a quality website precipitates the data-gathering process, social media mining is a transition to an even more effective approach: connecting with customers via social. Something as simple as virtually interacting with prospects can get you in the game. In fact, social media users have a 21 percent greater chance of strengthening relationships with companies using social media than those who don’t. Keep the dialogue going once you’ve attracted these social media-savvy customers. Have your sales team offer to help individual consumers navigate your website, solve a technical problem, or anything else they can assist with. It sounds simple, but every positive interaction builds loyalty, an all-too-valuable asset for small businesses. It’s that loyalty that cultivates effective word of mouth. It tells your community that you not only exist and offer an innovative product, but that you’re more passionate than anyone else on the market. Then, your biggest challenge won’t be scouring for customers — it’ll be keeping up with the demand. Jennifer Tomlinson is Senior Manager of Channel Marketing at Microsoft. She leads partner marketing efforts to help companies manage their current customers and grow their customer base. 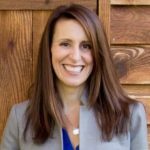 Jennifer has more than 20 years of experience in implementing successful, scalable marketing strategies for product, audience, and channel marketing in enterprise and small- and medium-sized businesses.